Starbucks Japan have announced the second seasonal beverage in their “Artful Autumn @ Starbucks” drink series. 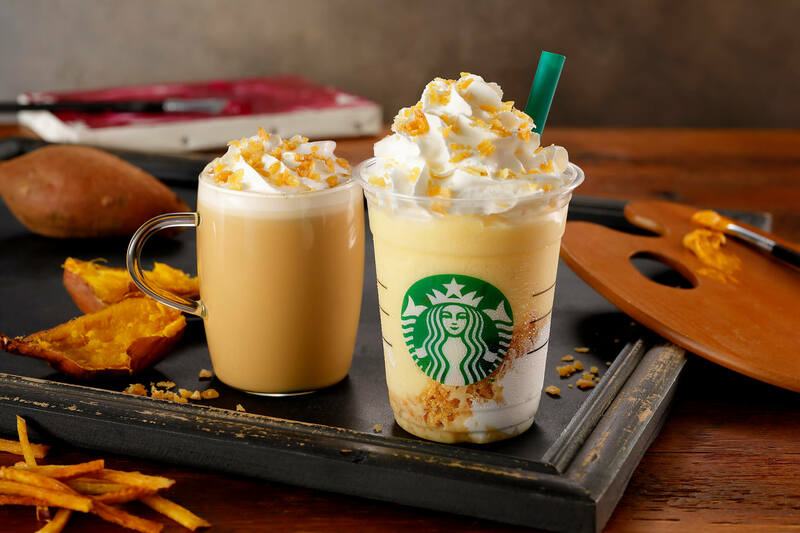 The Crispy Sweet Potato Frappuccino® and Crispy Sweet Potato Latte will be released at most Starbucks branches across Japan on September 13. The first line of drinks in the series included the Caramely Pear Frappuccino®, Caramely Pear Tea Latte and Caramely Pear Ice Tea. Sweet potatoes are the perfect autumn-time ingredient that add a crisp texture and rich sweetness to the beverages. To fully bring out the delicious flavour of the potatoes, the drinks include kenpi, a type of candied sweet potato. They are also made with a sweet potato sauce which is made from sweet potatoes that are roasted slowly to draw out their full flavour. The frappuccino comes with whipped cream topped with a sprinkling of kenpi. The cup also contains kenpi. This allows you to enjoy a crisp texture from the first sip to the very end while indulging in the delicious taste of sweet potato. The sweet potato sauce adds another layer of taste when it hits the espresso shot in the latte. They are a perfect combination. Customers who purchase either of these beverages will receive an Artful Autumn @ Starbucks® rubber band. These are limited in stock. *Not obtainable with certain coupons. *Limited edition and will not be available again. *1 rubber band per beverage. 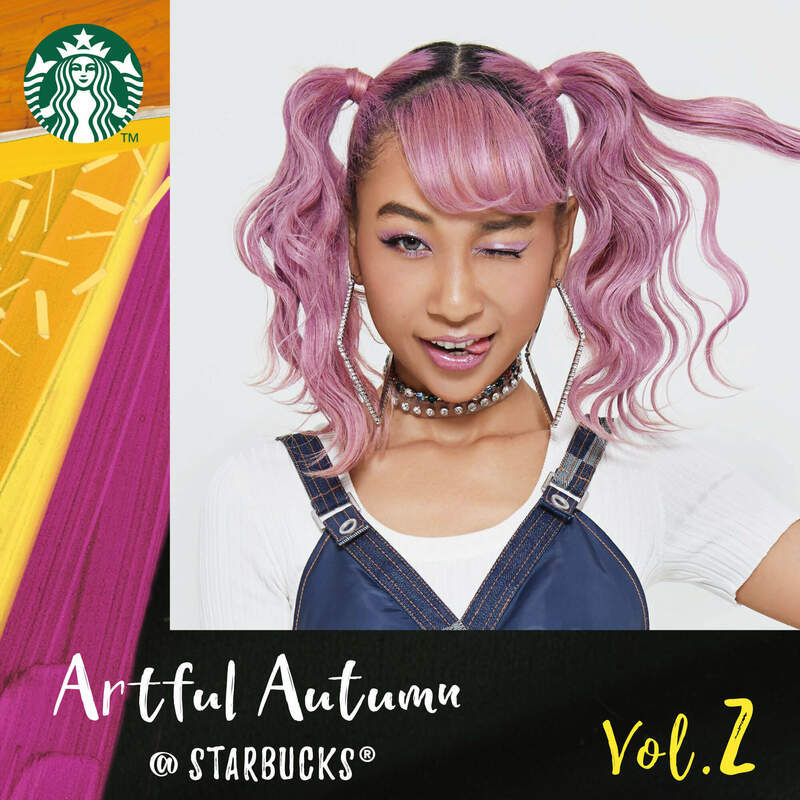 Japanese pop and R&B singer Thelma Aoyama has also teamed up with Starbucks to create an original song playlist for the coming autumn containing 5 songs which can be enjoyed through the Spotify app while in Starbucks. You can listen to them from September 13. *All 30 songs can be enjoyed from October 1 to 17. Full details can be found via the campaign page below (Japanese).